I also entered this look into a Makeupbee Competition, so if you like my look feel free to go vote on it by clicking the like button (not to be mistaken with the FB like button). Happy Valentine's Day everyone!! You create amazing looks!! This is really gorgeous. 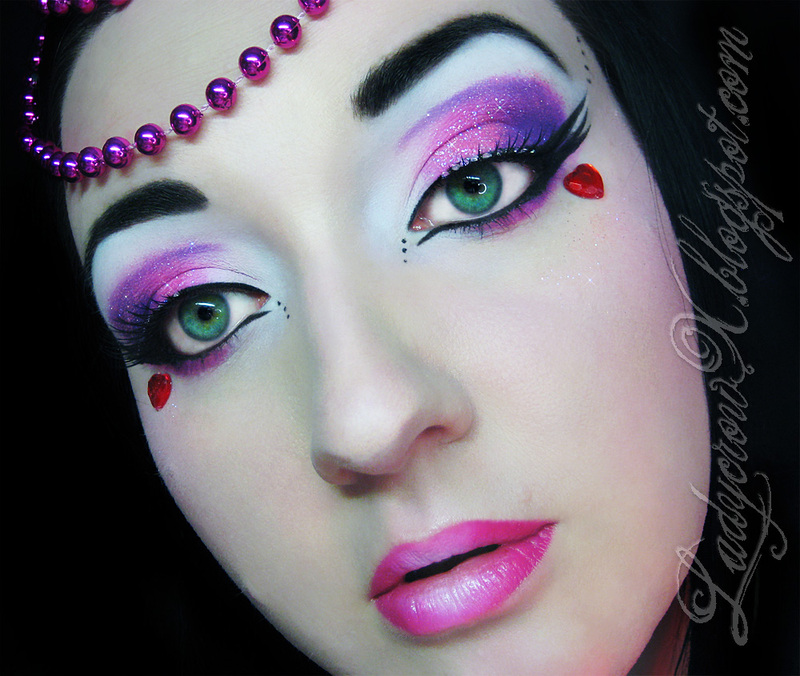 i love the glitter on the eyes, ad also hpow soft you made the lips look. Holy crap! I think you just became my favourite blogger!!! As a proud plague rat, I feel the need to tell you how much I love you for posting about EA!! I had a mini heart attack. I love your blog and love your makeup. 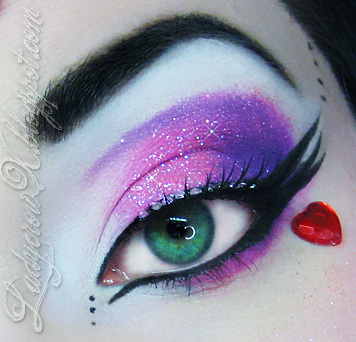 I totally agree with Jesikah, I saw this look on vintage or tacky and fell in love with your eye art. The look is absolutely completely gorgeous!!! I'm a huge fan of purple and pairing it with the yellow/orange/red combination blew my mind.